Getting your mind right to put up serious amounts of weight will take a lot of different factors. You’ll want to eat right, train properly, and do everything you can to be at your physical peak. But while what’s inside surely counts, it goes for saying that the way your look on the outside may also have an impact on your ability to lift hard. Having the right gear isn’t all about look, either. Instead, there is a lot of powerlifting gear out there that will also aim to keep you safe as well. In fact, not having the proper gear may result in you getting injured, which should be avoided by all means necessary. Keep in mind that the equipment mentioned here will vary for everyone. If you prefer to wear or use something different while training, that is up to you. However, the powerlifting gear mentioned here is going to help you with the tools for success. You can spend hours picking out the perfect shoes, but it won’t mean a thing if they aren’t perfect for powerlifting. Before you reach for a pair of your favorite shoes to wear in the gym, keep in mind that you’ll want to wear something different for this sport. After all, there is a lot of weight being tossed around and a lot of stability that you’ll need to maintain, so having the right shoes is imperative. A shoe that has a low center of balance and minimal arch. This helps for building stability around the base of the foot. A shoe that has laces or a strap that firmly, and comfortably, fits around the athletes foot. Being too tight or too loose can impact the athletes ability to properly lift. A shoe that is properly ventilated and is comfortable for the athlete while training. A shoe that you love the style of! 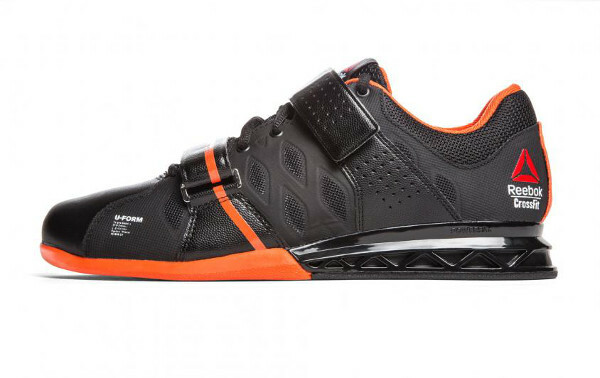 Take a look at our guide on what to look for in the perfect powerlifting shoes, to find out more about selecting your next pair of trainers. A weightlifting belt is something that all powerlifters should consider using. If you fail to properly lift with the correct form, you run the risk of throwing out your back. For those that have never had a back injury before, just know that it’s something you should want to avoid. A proper powerlifting belt will have the right amount of comfort and fit around the waist, but also be something that easily can be removed in-between lifts. Before you go and squat or deadlift, be sure that you have the right powerlifting belt. See our full belt breakdown here!! Get rid of all that baggy gym clothing that you used to wear. When you are doing exercises like squats, benchpress, deadlift, and power cleans, you need to make sure that your clothing stays close to your body. That is why a singlet is the common form of clothing within the sport of powerlifting . 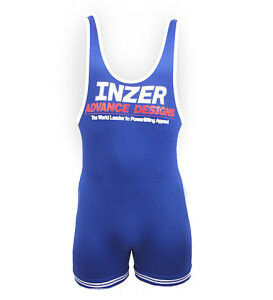 There are a lot of different singlets out there, each with their own styles. Women and men powerlifters both wear singlets, though slightly different for each gender. Check out Our review on selecting the perfect singlet will help you to choose the best option for your training. You know you’ve made your way into the sport when you are buying shirts that are specific to benchpress. But if you plan to train for powerlifting competitions, then you’ll quickly find out that bench press shirts are often mandatory. And even if they aren’t bench press shirts can still come in very helpful because of the form that they constrict your body to. A bench press shirt is often very tight, and it will help to support your back delts and shoulders. In addition, a bench shirt can also help you with support throughout your core as well. With a bench press shirt, you will notice serious improvements in your lifts. And as you start to add plates to each side of the barbell, you won’t have to worry about being hurt because of the support of a bench press shirt. Click here to see our top picks!! As you might guess, a squat suit is similar to that of a bench press shirt, but it’s for your entire body. If you hate leg day, then give it a go in a squat suit and you might change your mind. A squat suit looks similar to that of a singlet, but you’ll immediately notice that there is much more in the way of compression. A squat suit is placed over the body, with added support to the lower part of the back and the legs. For athletes that have poor knees or other support issues, a squat suit might be just what you needed. To learn more about squat suits, as well as how they are regulated for international competition use, be sure to look more into our squat suit section. We’ll provide plenty of reviews of each suit, as well as opinions into which options are best for you. Much like a squat suit, a deadlift suit will also add additional support while training. Because your body makes a lot of the same movements while squatting as while deadlifting, a lot of the same requirements are here. One difference that most athletes will notice with a deadlift suit is that they can get additional strength in their lowest position, where as squats typically help with explosion after going down. That is why deadlift suits give additional support to rip the bar from the ground when going for your max on a deadlift. 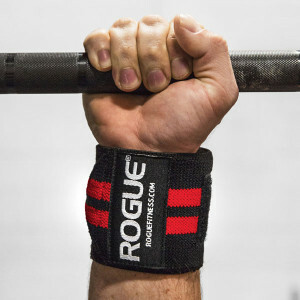 A lot of athletes might try and tell you that wrist wraps aren’t needed, as they won’t be helpful for getting stronger forearms, but that’s not the case. The truth is that wrist wraps can do wonders for athletes during training. In addition, not having wraps can lead to a variety of different problems with wrists and hands. Wraps should be firm and and durable. They should also have comfortable siding, in order to ensure that they don’t dig into your wrists while lifting. You might have to pay a bit more for the perfect pair of wraps, but it’ll certainly be worth it if that’s what it takes to maintain the strength in your forearms and wrists. You may also want to keep in mind that there are different wraps, depending on your size and the type of lifting that you will be doing. For those that are larger athletes, you’ll likely need larger wraps. However, smaller athletes won’t want to have all of that extra slack, so they should look for smaller straps. 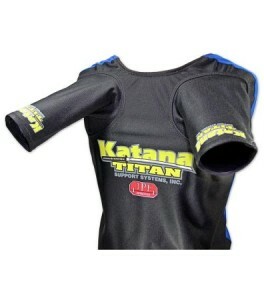 Wrist straps protect your wrists and hands, so it should be no surprise what knee wraps are for. If you plan to protect your knees and keep a solid foundation, then knee straps are going to be necessary. There are plenty of athletes out there who have blown their knees out due to improper support, and you don’t want to find your name in that same category. Keep in mind that knee wraps will help you lift a lot more weight while squatting or deadlifting. Therefore, be cautious when reverting back to lifting without the same type of support. For those that don’t feel as comfortable with elbow and knee wraps that are strung around the athlete multiple times, a knee sleeve is an alternative option. Both elbow and knee sleeves are just pulled up the athletes leg, and they add compression for additional support. Chalk can help athletes get better grip while lifting weights. That is why many athletes will either have a bar of chalk that they rub on their hands, or a bowl of chalk they’ll dip their hands into, while training. Collars will help keep your weights on the barbell. Because you don’t want to waste a lot of time switching out your weights, be sure that your collars fit properly and that they are the right model for your barbell. Wick free socks that will keep your feet fresh. If you have all of these things, then you’ll be ready for whatever comes your way in the gym. However, the one thing that you most certainly can’t leave at home is your DRIVE TO SUCCEED. Powerlifting isn’t a sport for those who aren’t willing to give it their all. So after you load up on all of the accessories here, know that you’ll be looking your best and training your safest, thanks to a bit of added investment into a sport you love.